The contract is valued at around $18 million. 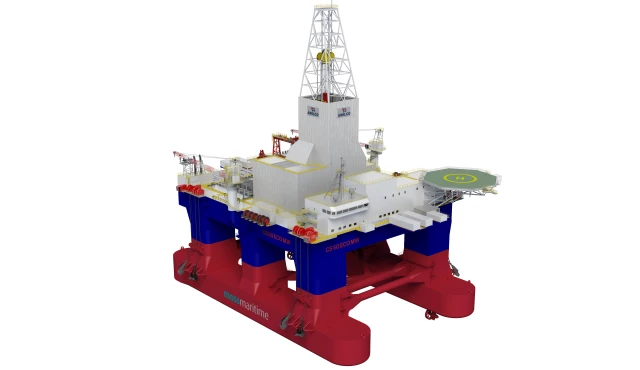 Based on the Moss Maritime CS60 ECO MW design, Awilco Drilling’s new rig is designed for harsh environment use, and will be equipped and certified for drilling on the Norwegian Continental Shelf, including the Barents Sea, in water depths up to 5000ft. Delivering the lowest environmental footprint of any semi-submersible drilling rig design, the Moss Maritime CS60 ECO MW is one of the most advanced harsh environment solutions in the market today. The design enables significant reductions in time and cost per well and non-productive time, in addition to delivering safety performance improvements. The Kongsberg technology delivery, which includes Dynamic Positioning, automation, safety, thruster control and navigation systems is a key enabler of many of the advantages that the cutting-edge design offers. The improved drilling efficiency and reliability of the CS60 ECO MW will result in lower OPEX with per day cost savings compared to existing semi-submersible rigs. This is aided by a complete Kongsberg electro package including a hybrid power system with advanced battery technology, MV Switchboards, Thruster Drives, Drilling Drives and Energy Management systems, contributing significantly to reducing fuel oil consumption and minimizing CO₂ and NOx emissions, resulting in further savings on related duties. Supporting the integral operation efficiency of its design, Awilco Drilling’s new rig will benefit from real-time data support provided by the Kongsberg Information Management System (K-IMS) and a sophisticated Condition Based Monitoring solution capable of further reducing the likelihood of downtime and delivering certification efficiency. K-IMS will enable Awilco Drilling and its clients to utilize more shore-based competence for interpretation of i.e., well data, enabling enhanced support, drilling efficiency and rig performance.